This is one of the very best late wildflowers for butterflies. 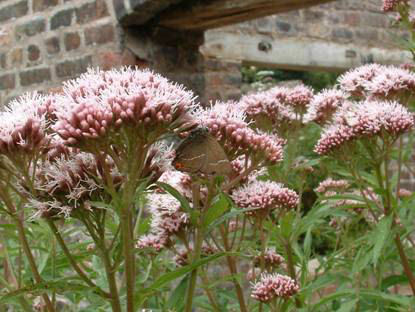 It is the only Eupatorium native to Britain.This photo was taken in the Greenfield Valley by Brian Roberts who has spent many years monitoring the butterflies in this nature and history park; there is a rare White-letter Hairstreak feeding on it. The flowers also attract many moths at night. This plant likes to grow in damp conditions, where it can grow to 3 or 4 feet tall (if kept drier it will flower on a shorter stem). A hardy herbaceous perennial.